Flipkart was founded in 2007 by Sachin Bansal and Binny Bansal, both alumni of the Indian Institute of Technology Delhi. They worked for Amazon.com, and left to create their new company incorporated in October 2007 as Flipkart Online Services Pvt. Ltd. The first product they sold was the book Leaving Microsoft To Change The World to a customer from Hyderabad.Flipkart now employs more than 33,000 people. Flipkart allows payment methods such as cash on delivery, credit or debit card transactions, net banking, e-gift voucher and card swipe on delivery. 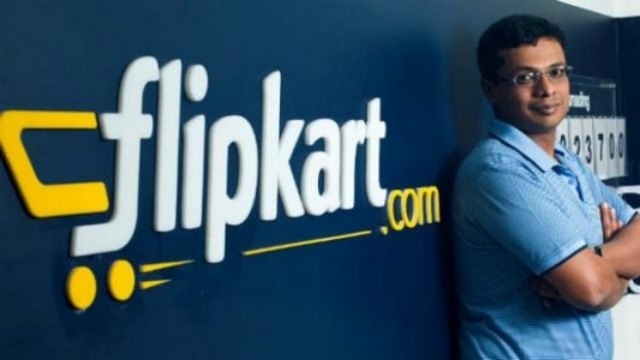 After failure of its 2014 Big Billion Sale, Flipkart recently completed the second edition of Big Billion Sale held between 13 and 17 October. where it is reported that they saw a business turnover of $300 million in gross merchandise volume.